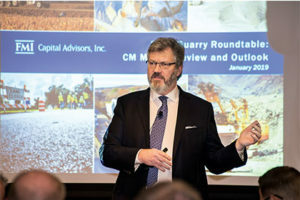 FMI’s George Reddin delivered his annual construction materials market outlook at the 2019 Pit & Quarry Roundtable & Conference. Photo by PamElla Lee Photography. 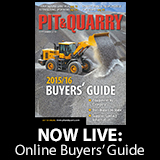 Sentiments about the coming months were largely positive as aggregate producers, equipment manufacturers and others looked at the year ahead during the 2019 Pit & Quarry Roundtable & Conference. George Reddin, managing director at FMI Capital Advisors, was largely positive about the months to come, as well, as he delivered his annual construction materials market outlook at the P&Q event in Coral Gables, Florida. Reddin outlined several drivers that will impact the construction materials market in 2019, detailing two scenarios that could take place as the year unfolds. One scenario: The construction materials market benefits from a rebound year. The second: The relatively flat market of 2018 persists through 2019. Reddin notes that the market will pay special attention to input cost inflation, as well as construction materials pricing, as 2019 goes on. Reddin elaborated further on 2019 market drivers, detailing that construction materials companies are pretty optimistic and believe there’s momentum on infrastructure funding and funding initiatives at the state level. To maximize performance, Reddin suggests the industry needs stability from the Federal Reserve on interest rates. A robust year is the more likely of the two possible scenarios, from FMI’s perspective. Depending on sector performance, merger and acquisition activity in 2019 could return to 2017 and early 2018 levels. 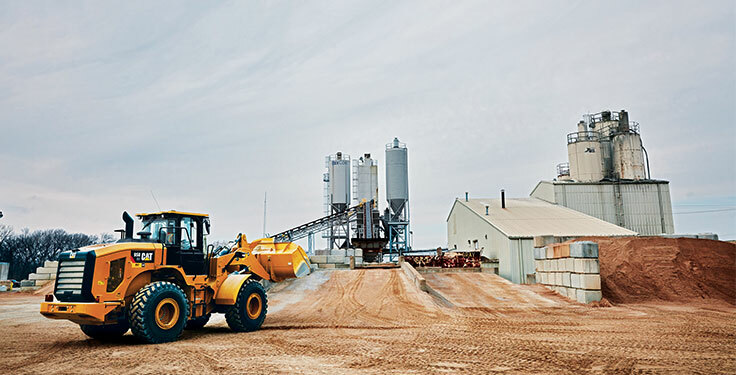 The construction materials industry roared into 2018 on the heels of industry-transformative deals in 2017 – including CRH’s acquisition of Ash Grove Cement, Vulcan Materials’ purchase of Aggregates USA and Martin Marietta’s addition of Bluegrass Materials. Megadeals like these did not carry over to 2018, but mergers and acquisitions did continue on a smaller scale. 2018 saw a mix of platform and bolt-on transactions rather than the mega-transaction types. 2019, however, should serve up an even heavier diet of bolt-ons, according to Reddin. 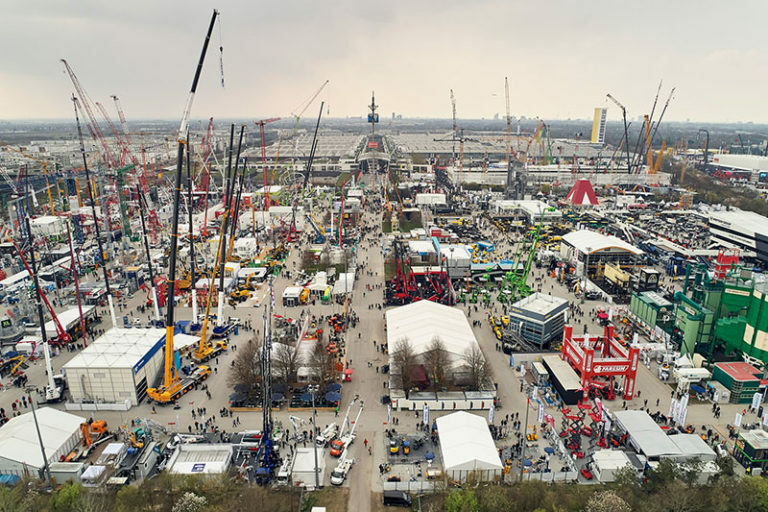 Depending on first-half 2019 performances, construction materials market dealmaking could intensify in the second half of the year. “If the first and second quarters are good, we should see a healthy M&A market in the second half of the year with a return to the platform deals and the mega-transactions, as well,” Reddin says. Still, as many construction materials producers experienced in 2018, the market can shift quickly. Expectations entering last year were high in part due to optimism surrounding a federal infrastructure bill, but the buzz quickly fizzled and injected new uncertainty into the construction materials environment. 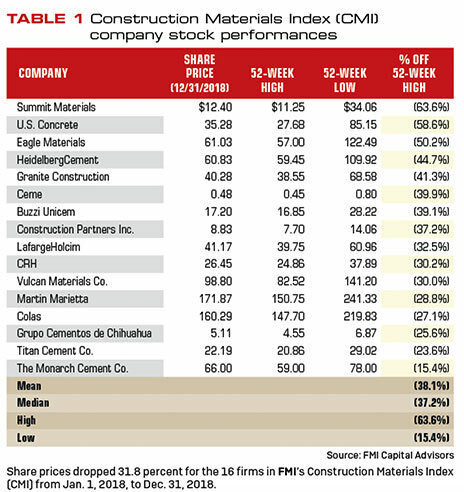 The uncertainty surrounding infrastructure was one of several factors that contributed to the decline of the CMI, FMI’s index of 16 construction materials producers operating in the United States – including Vulcan, Martin Marietta, CRH, Summit Materials and others. The combined share prices of the 16 CMI companies dropped nearly 32 percent in 2018, with most firms ending 2018 near their 52-week lows. “The companies in our CMI lost almost $50 billion in market cap last year,” Reddin says. Three of the 16 CMI companies – Summit, U.S. 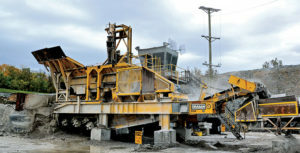 Concrete and Eagle Materials – experienced market cap losses in excess of 50 percent. Excessive rainfall in several regions provided for a number of challenging days for aggregate operations in 2018. Photo by Joe McCarthy. As anticipation for infrastructure legislation faded, other headwinds surfaced, including inclement weather, rising interest rates, trade tariffs and declining growth in residential markets. “No single issue was a big deal in and of itself, but we started to get the collective weight of the issues bearing down on the markets,” Reddin says. By the end of the third quarter, CMI firms revealed they were either missing earnings or that they were disappointed in their rate of growth. “The result for the public companies was that stock prices got hammered and they lost significant market capitalization,” Reddin says. Private industry companies, meanwhile, experienced a somewhat different dynamic in 2018. “Many private companies experienced a good year but not quite as good as they had originally forecasted,” Reddin says. “However, they still had very strong results relative to historical performance. On the other hand, the public companies saw their equity reduced by more than 30 percent on average. “This dynamic created a big difference between the perceptions of public and private companies in M&A transactions,” Reddin says. Public companies answer for both their trailing-12-months (TTM) performance and the outlook for the next 12 months (NTM), according to Reddin. In the first half of 2018, early forecasts began to fall short and, as the year progressed, this unexpected dynamic increased. “The slowing performance took a toll on the sector, with public companies experiencing large hits to their stock price,” Reddin says. “With stock market pressures rising, public buyers became fixated on TTM performance. Private companies looking to sell, on the other hand, were more fixed on NTM. FMI’s 2019 outlook for both public and private firms remains positive. 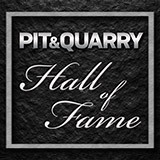 FMI Capital Advisors’ George Reddin explored this stirring question at the 2019 Pit & Quarry Roundtable & Conference. “More than half of the economists think the next recession will occur in 2020, while a quarter of economists project 2021,” says Reddin, the managing director in the construction materials practice at FMI. Most economists firmly believe the next recession will not mirror the last one, he adds. “We had never seen a recession like the one we had in 2008-2009,” Reddin says. “It was a very steep decline from top to bottom, and had the longest recovery period in history. Normally, we have a V-shaped recession – a quick downturn followed by a rapid recovery, a cycle of a year or so [and] not a decade long. “If we have a technical recession, it will likely be less impactful to the construction materials sector – especially if we get an infrastructure bill where we have public funding offsetting potential softness in the private sector,” he adds. According to Reddin, the takeaway for construction materials producers is that the industry will inevitably feel the impact of the next U.S. recession, but not nearly with the depth and severity of 2008.